The Department of Economic Opportunity’s economic security report of employment and earning outcomes. 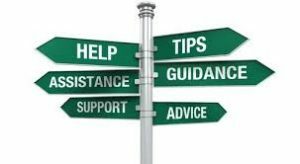 Academic resources are available for you to help your student! Please click here to visit our resources page, or click Academics -> Resources. Jewett Middle Academy Magnet is a 5-star School! Individual student test score reports can be picked-up in the guidance office for incoming 7th and 8th graders. Score reports for incoming 6th graders will be at their elementary school. If you have an incoming 7th grader and have not done so, please turn in his/her updated shot records including the Tdap booster. We would like the students to come the first day of school with basic supplies; including a backpack (rolling or with shoulder straps), pencils, pens (blue or black ink), notebook paper, and at least one folder or binder. We do not expect the students to come with all of their supplies on the first day. The teachers will go over the required supplies for their classes on the first day of school and will give the students several days to get the supplies that they need. Click here for individual grade level supply lists. We know that many of you would like to go ahead and get a head start on buying supplies; taking advantage of sales and tax-free holidays. Since you do not know your child’s electives at this point, you may want to wait to purchase supplies for the elective classes. Students will not receive their schedules until orientation on August 8th. All students will be taking the four core classes, so you will be safe to go ahead and purchase supplies for Language Arts, Math, Science, and History/Civics. Most students are automatically signed up for the P.E. class (semester course) with a semester of Tech./Computers, so you may want to go ahead and purchase supplies for P.E. and Tech./Computers; except for the P.E. uniforms. P.E. 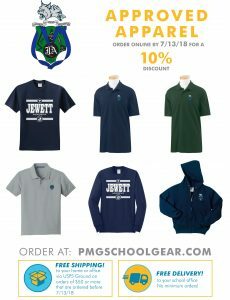 uniforms can be purchased during the first week of school in the P.E. class for $20. ($10. for the shirt and $10. for the shorts). The students will not need a P.E. uniform during the first few days of school. It is a good idea to go ahead and purchase some of the folders with pockets & brads (in assorted colors). There are several classes that require that type of folder and stores are sometimes in short supply right before school starts. The student planners/agendas will be sold during the first week of school for $5. If your child is a car rider; please click here to see the attached “Car Pick-up Instructions”. Reminder: please do not turn left as you exit either parking lot. If you are using the 7th/8th grader drop-off/pick-up area, please do not turn onto 6th street from Ave. T (see attached map). Please take 5th street and circle the block. Some parents are waiting in line for 15-20 minutes and then cars who haven’t been waiting pull right off of Ave. T from 6th street and try to pull in front of those who have been sitting in line for a while. Please do not pick-up or drop-off students outside the gate. We will no longer allow students to walk outside the gates to meet parents. If your child has an appointment and you have to leave immediately after school, please call ahead and let the school know. You will be able to pull in the exit and park to wait for your child. Also, it would speed up the line if each vehicle had a paper/card with your child’s name on it. As you pull up in the car line, hold up the paper and then we will know what student to call. Thank you for cooperation as we work to make our car line more efficient and safer for our students! Please view our new district attendance policy. To Report Your Child’s Absence, please click here. Click here to see the article featured in the Ledger on March 9, 2014 about Jewett Academy becoming IB Authorized. 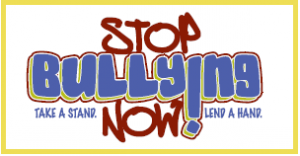 Stop Bullying Now! Take a stand & lend a hand. School is hard enough without having to deal with bullies, teasers, or other kids who are just mean! So, you have a problem with someone in your class? Are you being bullied? Ask for help. Click here for more information.